For those of us who live in places where winter isn’t so friendly, getting outside (especially for extended periods of time) can occasionally feel like slow torture. At times the cold, wind and awful wet wintry mix can make even the most dedicated athlete want to curl up on the couch until spring, but that kind of attitude won’t fly. Here’s why you should perk up and embrace winter by training in the great outdoors. 1. 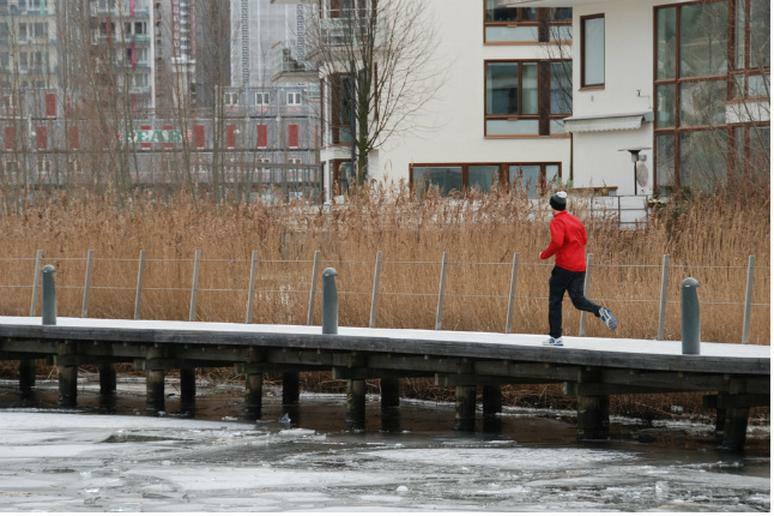 Cold temperatures and exercise are the perfect fat burning duo, studies suggest. Low temperatures may seem like a bummer, but they help you lose weight in two ways. First, your body will try to heat itself up, thereby burning more calories. Then, cold is said to activate brown fat—good fat that helps with body heat and metabolism. Brown fat helps burn the bad white and yellow fat that you might find on your thighs and midsection. One study found that exposure to cold temperatures increased brown fat activity 15-fold. Though the relationship between cold and fat burning isn’t 100 percent clear yet, early research is turning out encouraging results. 2. Outdoor exercise is a great stress reliever. There's a reason all those yogis take their practice outside—the outdoors is an incredibly calming setting to get in touch with the important aspects of life and to let the little problems go. 3. You can’t ski or snowboard in 80-degree weather. Take advantage of the snow-covered mountains and chilly temperatures in unique ways—snowshoeing is fun and challenging, cross-country skiing is another favorite winter workout and you can’t go wrong with some good old downhill skiing or riding. 4. Outdoor exercise can help you beat the winter blues. Two effective (and free) treatments for fighting depression are exercise and getting outside—why not combine them both? Seasonal affective disorder (SAD) is a real condition that affects an estimated 10 million Americans, getting outside can help. 5. Exercise can boost immunity. With outdoor exercise comes better circulation and with better circulation comes a stronger immune response. Several studies have found that people who exercise frequently are less likely to get sick than those who are more sedentary. There is a danger in overtraining, though, which can leave people more susceptible to upper respiratory infections. 6. When you exercise outside you can ditch the gym. Your local fitness center may be your favorite workout spot; if so, that's great. If you don't care for the gym, workout outside for free and skip the line for the treadmill and the germ-loaded equipment.